Greetings, dear readers! I hope your week has been off to a fabulous start! I'm still in go-go-go mode, and I have a feeling I'm going to need to take a little vacation from the blog by the time Christmas gets here. I'm not talking about a "not posting" vacation, but a full on, no swatching, photographing, editing, writing, and all that jazz vacation. Of course the thought of it gives me anxiety so that probably won't happen. I like to take photos of my work too much to not share with you! I digress, so let me jump in on today's blog post. One of the booths I visited at Cosmoprof North America this past summer was for Hikari Cosmetics. I admit I wasn't particularly familiar with the brand, but I was familiar with Be a Bombshell Cosmetics, the "sister" brand. I added the brand on my list to test out; I finally picked up a few items to try and share with you! Let's check them out! First up is the lipstick in the shade Cabernet. Cabernet is described as a soft cranberry red. It is a beautiful colour, but the description is deceiving. I find it to more of a warm raspberry shade with a strong pink undertone. It's beautiful, don't get me wrong, but if you're expecting a red, this isn't for you. The formula on this lipstick is nice. It is a little on the firmer side so it isn't quite as smooth and creamy as other brands, but it still applied easily for me. I was also happy that there wasn't any patchiness whatsoever, and this stayed on my lips through my cup of coffee, several cups of water and a light lunch. Here is my final look of the day. I had shared this photo in a previous post as I used the Ever After line of eyeshadows with this look as well. I'm not particularly loving these together, but I'm definitely going to have to wear this lipstick with a different eye look. Speaking of eye looks, I also picked up a Hikari Cosmetics eyeshadow in Disco. 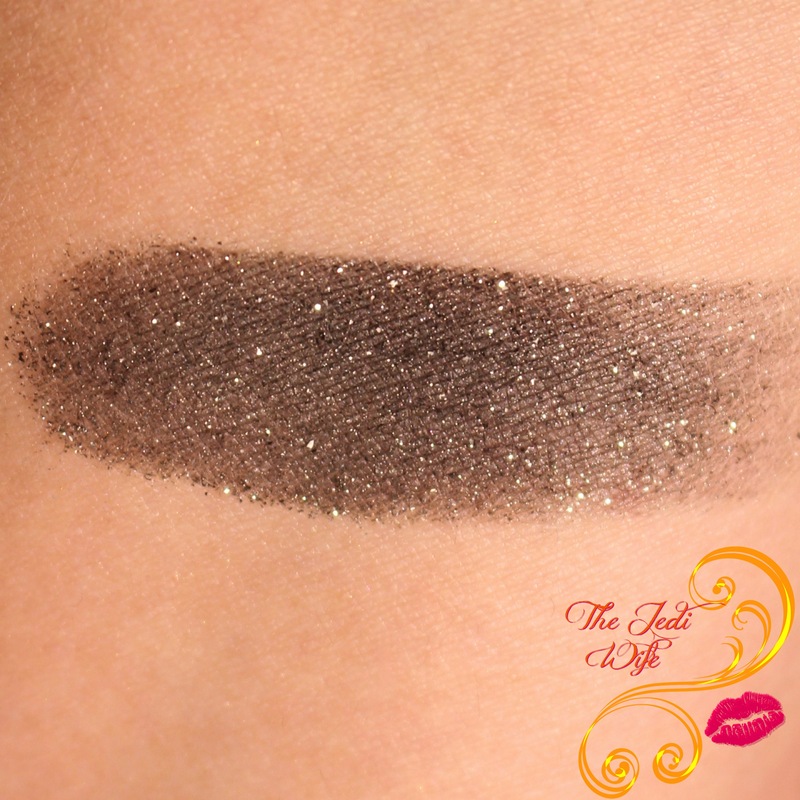 Disco is described as a black eyeshadow with silver glitter. The colour description is much more accurate as it is definitely a black with silver glitter. Now this eyeshadow is stunning! 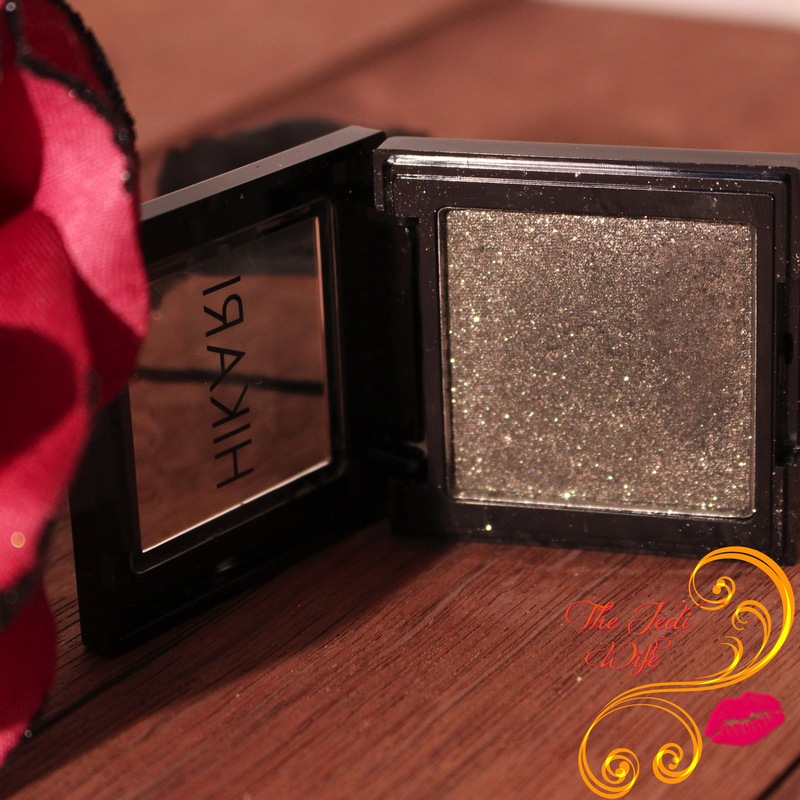 If you are hunting for the perfect eyeshadow for your holiday parties or even a night out on the town, Disco is definitely the way to go! The application was silky smooth, even with all the little glitters, and the colour payout was quite impressive! This stayed put all day long with my usual use of primer underneath the eyeshadow and a quick spritz of my setting spray. I actually put this on early in the day and felt so glamorous! Here is my final look of the day with Disco. Since I was feeling so glam, I naturally had to pair it with a deep red lipstick. I'm definitely feeling ready for date night like this! 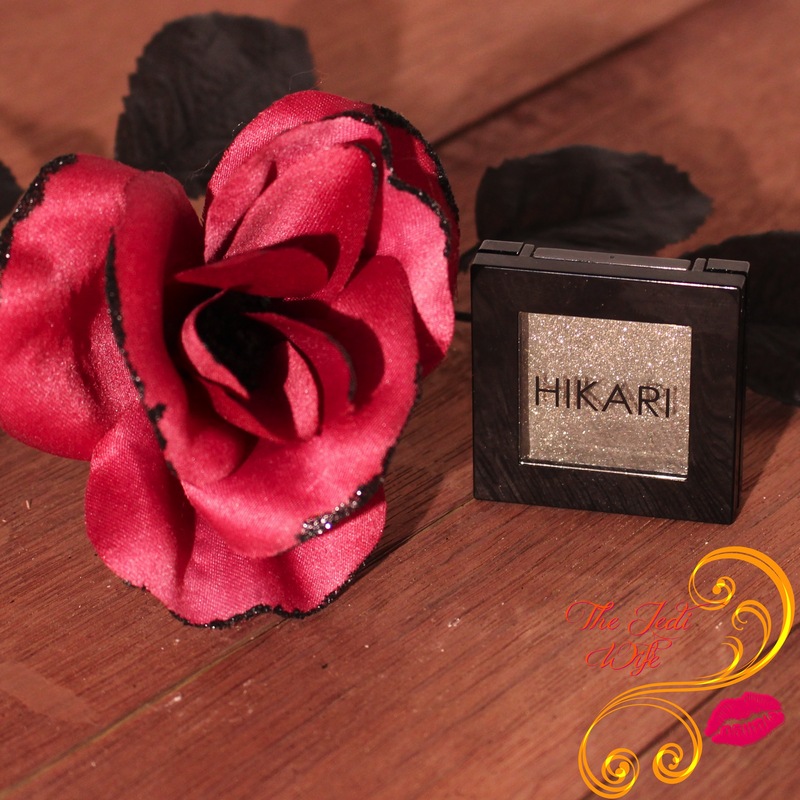 Hikari Cosmetics products can be purchased on the Hikari Cosmetics website located here. Cabernet and other lipsticks retail for $13 each while Disco and other eyeshadow singles retail for $13 each. 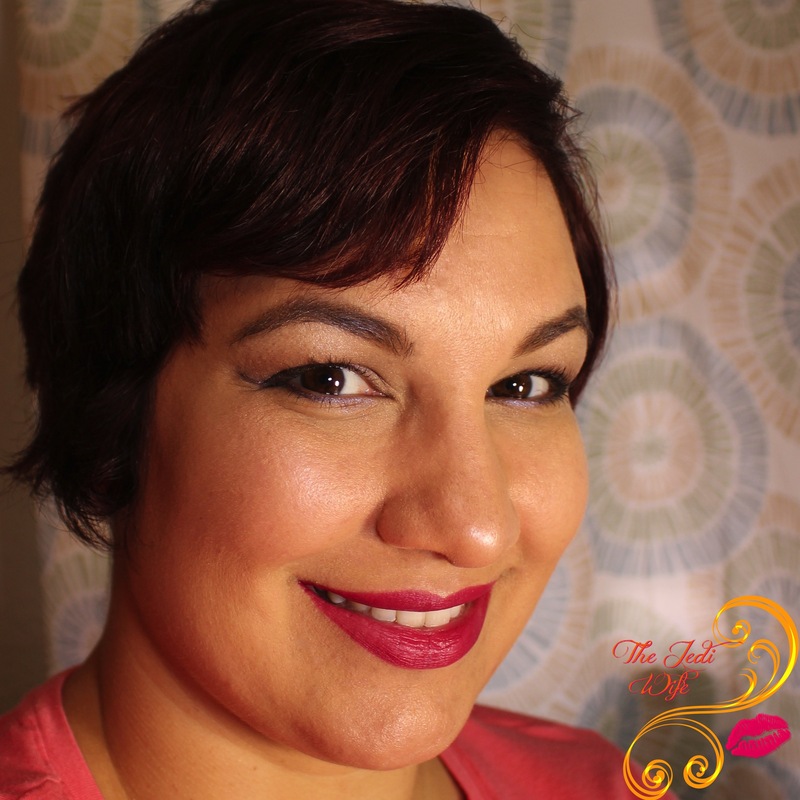 I certainly enjoyed playing with these two products, and I have an eye on a few other shades to try out next! 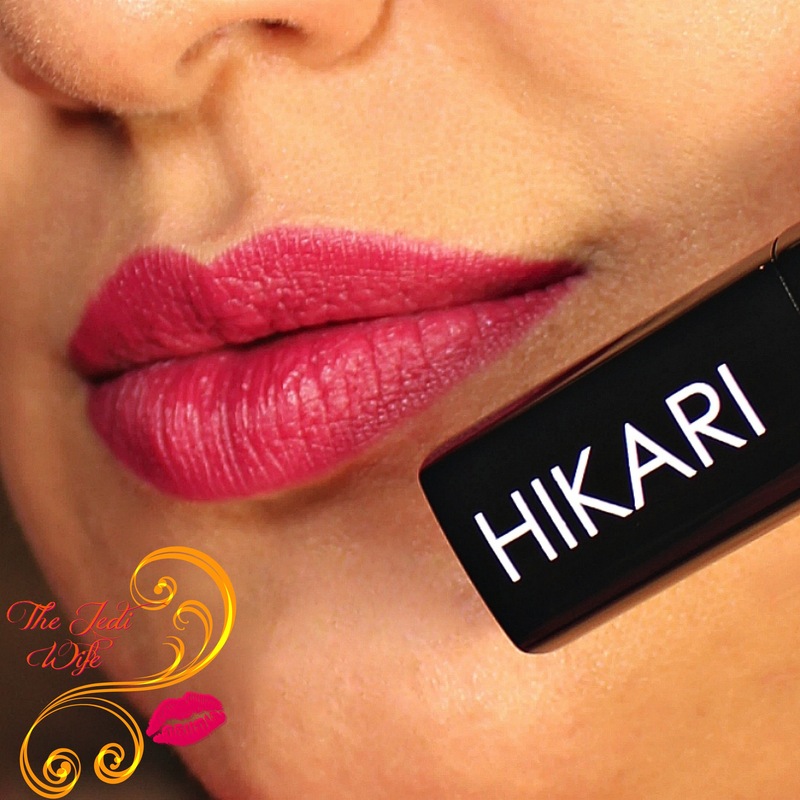 Have you used any products from Hikari Cosmetics? If so, what are your favorites? What do you want to try? I'd love to hear from you! The eye shadow and lippie look lovely on you. That eye shadow is gorgeous! And I agree with you, I was a little surprised reading the name of the lip color and seeing the actual color. 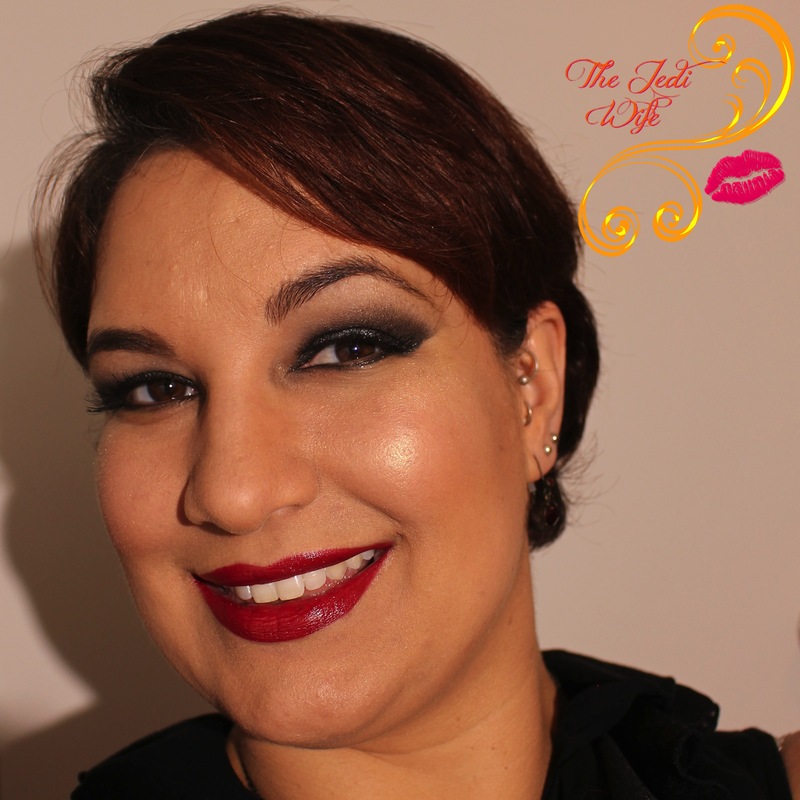 The smokey shadow is beautiful, but I am loving that lip stick! Cabernet looks perfect on you! You should do glam every day.